Mike Salinas' first full season in Top Fuel has included his first final round appearance and a berth in the Mello Yello Countdown to the Championship. By almost every account, he has had an impressive start to his career but Salinas is far from satisfied heading to this weekend's 54th annual Auto Club NHRA Finals at Auto Club Raceway. 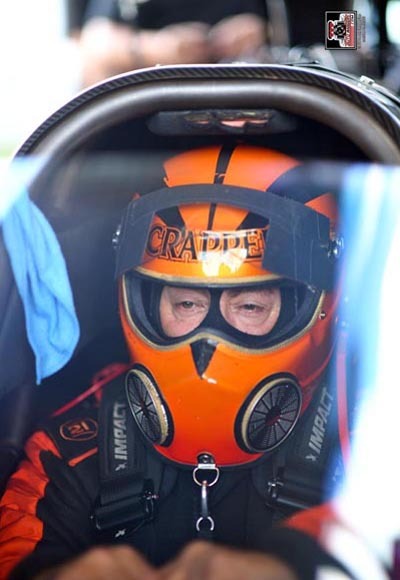 Salinas is currently seventh in points and with a good showing in his 10,000-horsepower Scrappers Racing dragster to finish the 2018 NHRA Mello Yello Drag Racing Series season, a top five finish would be possible. That would be ideal to close out this year, especially as Salinas has big thoughts and plans for his 2019 Top Fuel season. "For us, we need to win this race," Salinas said. "I know what we need to do for next year, so a win in Pomona would help us hit the off-season hard to make sure what we come out strong in 2019. We're not here to mess around. I'm a little disappointed in the whole year and I expected better for what we put in. But we're excited to head to Pomona. It's an awesome place and we've got a very good fanbase there, so we want to give them an experience they won't forget." Brittany Force (Top Fuel), Tommy Johnson Jr. (Funny Car), Bo Butner (Pro Stock) and Andrew Hines (Pro Stock Motorcycle) were last year's winners of the race that will be televised on FOX Sports 1 (FS1), including live finals coverage starting at 4:00 p.m. (ET) on Sunday, Nov. 11. 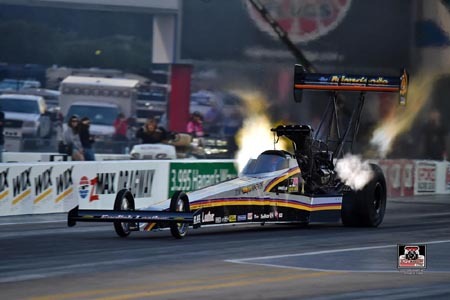 The race is the final event of the year and the Mello Yello Countdown to the Championship, and Salinas continues to aim high even with only 37 Top Fuel races under his belt. 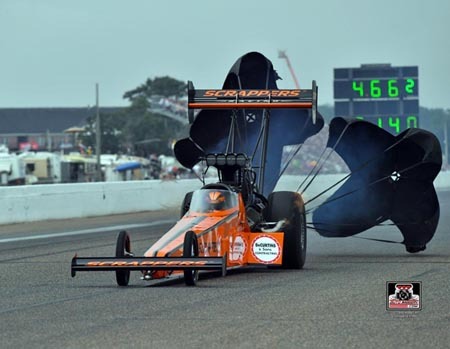 That's by far the fewest of any Top Fuel competitor in the Countdown to the Championship, but Salinas has continually proven his worth this season, advancing to a final round in Bristol and picking up his first career No. 1 qualifier in Indy. Salinas credited veteran standouts like Antron Brown, Jack Beckman and Ron Capps for the helped they've offered, but the California native's ultra-competitive mindset ensures he won't be happy until he reaches the top. "I'm very competitive and do not like losing, so it's hard to take," Salinas said. "We had some failures as a whole, but we've done some really good things, too. I learned how to be a better driver, but what we have a whole list of stuff we've done wrong and it outweighs the stuff we've done well this year. We're never going to make those mistakes again, and we will make sure it will not happen again. I expect to come out swinging in Pomona and have things ready for next year." To grab his first career Top Fuel win, Salinas will get have get past the likes of Steve Torrence, who has dominated the Mello Yello Countdown to the Championship by winning the first five races and claiming his first career world championship in Las Vegas. Salinas will try to prevent Torrence from sweeping the playoffs and, as usual, the rest of his race-loving family will join him. Two of Salinas' four daughters, Jasmine and Jianna, will race Top Alcohol Dragster and Pro Stock Motorcycle in 2019, respectively, which has only furthered Salinas' passion for the sport. "Our whole family, we're very competitive," said Salinas, whose other two daughters, Jacqueline and Janae, also expect to race in the future. "We work together and help each other, and we're a pretty tight family. It's amazing to have everyone involved in the sport. Where else can you spend time with family and all do something you love? This off-season, we're going to hit it hard and make sure we all come out strong next year." With a win in Vegas, Funny Car's J.R. Todd takes a 74-point lead into Pomona over defending world champ Robert Hight as Todd seeks his first career world title.